Last night we had dinner in the Pinnacle Grill. We hosted Will Bossen, he is the Techspert of the Digital Workshop and Allison Yarne, the Lifestylist. 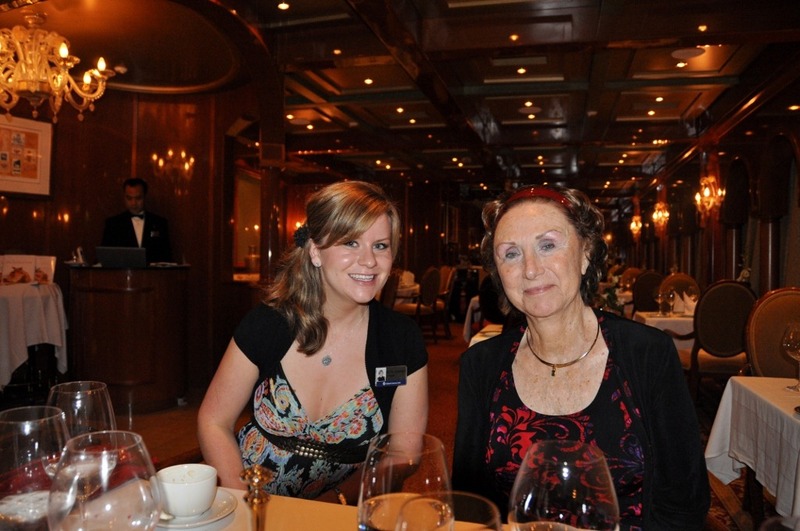 Both of us have already received so much value from this cruise, directly because of the two of them. 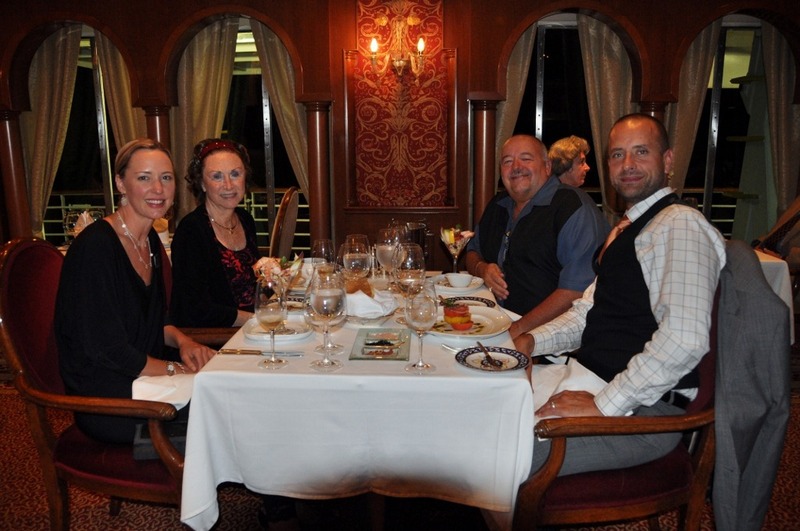 We shared two bottles of wine with them, Conundrum one of our favorite whites and Solaire a new Cab we have found this cruise. Clockwise Allison (left front), Gloria, Brad and Will. Later in the evening Beth – the Social Director, joined us for coffee as Allison had a 10 pm class for the crew. Yesterday we received a few emails asking us where exactly Devil’s Island was, so see the map below. The arrow in yellow is Devil’s Island. 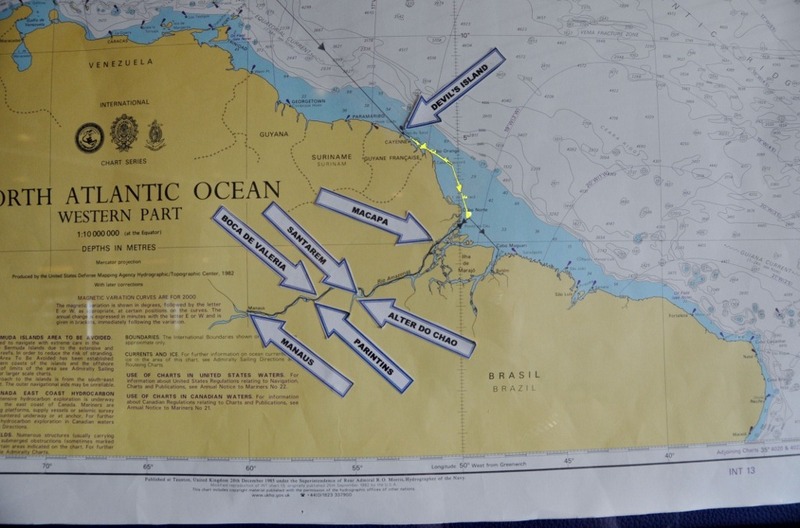 We will make the other arrows yellow as we arrive in each port on the Amazon River. Planned activities are much like our other sea days. Expect today Brad is going shopping at the sale on the Lido. Gloria’s morning of Meditation, and exercise makes it impossible for her to make it.